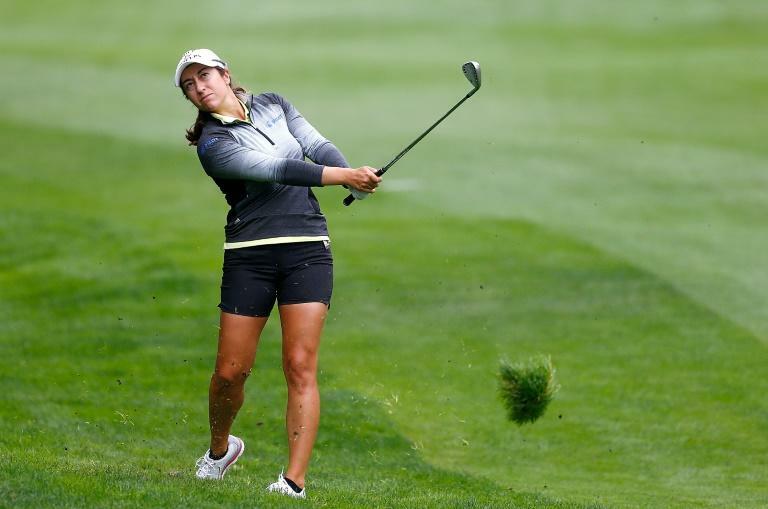 Marina Alex stormed into the lead at the Cambia Portland Classic on Thursday, equalling the course record with a 10-under-par 62 on a day of low scoring in Oregon. The 28-year-old from New Jersey, still chasing a first tournament win after six seasons on the LPGA Tour, took advantage of perfect conditions Columbia Edgewater Country Club to produce a flawless round. Alex reeled off 10 birdies and eight pars in a superb display which saw her close with four consecutive birdies down the stretch to take her to 10 under. "I just started hitting it really well and just kept making great rolls on my putts on the back nine," Alex said. "It just turned out to be a great day. Alex benefitted from the expertise of veteran caddy Travis Wilson, who last year worked the bag for the winner of this event, Stacy Lewis, who is currently on maternity leave from golf. "It's been a blast," Alex said of her link-up with Wilson. "The timing was great. He wanted to work a couple more events before the season ended and I was looking and Trav is awesome, so much fun, really lighthearted, so we're having a great time." But Alex, who has posted three top 10 finishes this season, will be looking nervously over her shoulder at the chasing pack on Friday. Her pursuers are led by Canadian star Brooke Henderson, who reproduced the sparkling form that fired her to victory in the Canadian Open last weekend with an eight-under-par 64. Henderson started slowly with five straight pars before a trio of birdies on the 6th, 7th and 8th holes kick-started her round. She then reeled off five more birdies in her closing six holes on the back nine -- including a birdie on the last -- to close to within two of the lead. She joined Australia's Minjee Lee in a tie for second place on eight under. Lee, who teed off on the 10th, might have finished closer to Alex had it not been for a bogey on her 18th hole, the only blemish in an otherwise flawless round that included nine birdies. The 22-year-old from Perth made a sensational start, unfurling five straight birdies in her opening five holes in a dazzling early charge. "I think it was a combination of everything," Lee said. "Most of the day I struck it pretty well with my iron shots. I had pretty good control of the yardages. And I hit some solid putts." 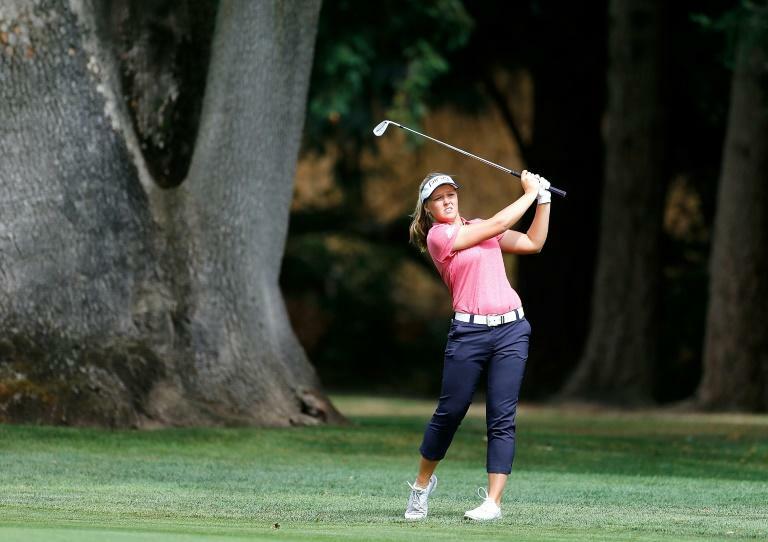 Robynn Ree was a further shot back after a seven-under-par 65. Ree missed the chance to go level with Lee on eight under after bogeying her last. England's Georgia Hall was four shots off the lead after a roller coaster six-under-par 66 which included nine birdies, three bogeys and six pars. Australia's Su Oh and Katherine Perry of the United States were also at six under.